Earlier this week, the official Twitter page for Legendary's highly-anticipated Warcraft adaptation released a new poster and a trailer preview, while announcing that the first trailer will debut Friday, November 6. With the full trailer just one day away, the studio has rolled out two character posters, featuring The Alliance leader Anduin Lothar (Travis Fimmel) and The Horde's Durotan (Toby Kebbell). It isn't known if the studio plans on launching more character posters tomorrow when the new footage arrives. Legendary Pictures and Universal Pictures' Warcraft brings an epic adventure of world-colliding conflict to the big screen, based on Blizzard Entertainment's global phenomenon. The peaceful realm of Azeroth stands on the brink of war as its civilization faces a fearsome race of invaders: Orc warriors fleeing their dying home to colonize another. As a portal opens to connect the two worlds, one army faces destruction and the other faces extinction. From opposing sides, two heroes are set on a collision course that will decide the fate of their family, their people and their home. So begins a spectacular saga of power and sacrifice in which war has many faces, and everyone fights for something. Travis Fimmel, Paula Patton, Ben Foster, Dominic Cooper, Toby Kebbell, Ben Schnetzer, Robert Kazinsky, Callum Keith Rennie and Daniel Wu lead an immense and talented cast in this video game adaptation. Duncan Jones (Moon, Source Code) directs from a script he co-wrote with Charles Leavitt, based on the beloved Blizzard Entertainment video game series. The trailer's debut on Friday, November 6 will likely coincide with the annual BlizzCon convention, which takes place on November 6 and November 7 at the Anaheim Convention Center in Anaheim, California. It's possible that this upcoming trailer will be attached to theatrical prints of Sony Pictures' new James Bond action-adventure Spectre, but we don't know for sure. Legendary Pictures doesn't have any movies hitting theaters this month, but the action-packed Spectre will be a good fit for the trailer's theatrical debut. Fans at Hall H reacted positively to this trailer at Comic Con, so we'll have to wait and see how everyone else reacts to the first footage. 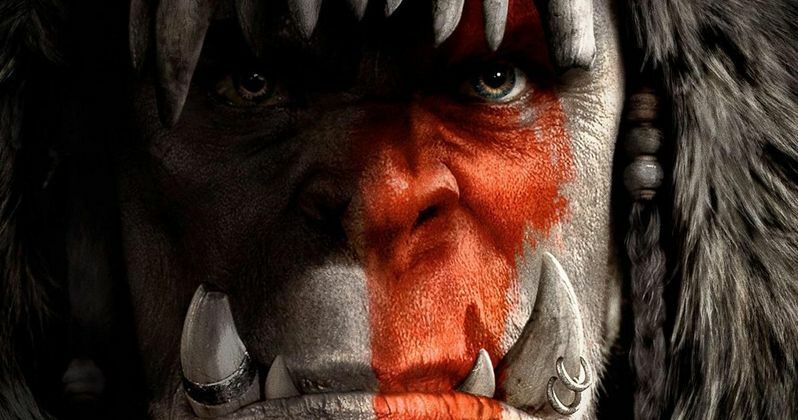 Warcraft will hit theaters on June 10, 2016, where it will go up against a pair of sequels, Lionsgate's Now You See Me 2: The Second Act and Warner Bros.' The Conjuring: The Enfield Poltergeist. Given the popularity of all three of these franchises, it may be a close weekend at the box office, but we'll find out for sure next summer. Check out the character posters for Warcraft below, and be sure to check back on Friday for the first trailer.